Unsaved input. You have changes data but not saved. If you continue, your changes will be lost. Help us illustrate the conbook! Hello there, citizens of Furapolis! We are accepting submissions until June the 1st. Your nickname and optionally link to your online gallery will be included in the conbook! Please read the submission guidelines at https://www.cesfur.org/en/illustrations/. We would like to thank the following artists for last years contribution and we hope to see them again! There is still time to upgrade your ticket! Can you guess what these photos have in common? Neither would be possible without Cesfur sponsors and supersponsors! Their contribution lets us bring new events or enhance existing ones, such as traditional Fursuit gameshow or one-off last year's Space flight. The contribution of sponsors is making Cesfur more fun for everybody, every year. There is still time to upgrade your ticket to Engineer, or even Inventor tier! And for your generosity, we would like to offer you a little something too. A mention in the conbook. An invitation to a party with organizers - and chocolate fountain! An opportunity to dine with our Guest of Honor, Alex "Khaki" Vance. A voucher for a free drink at the bar. All of the Engineer's perks (and maybe with even infinit-er gratitude)! We'll see you ar Cesfur! Thank you all for the incredible interest in attending this year's ČeSFuR. We've gathered over 450 registrations and we're finishing the approval process now. Check your mailbox for confirmation email. We're now taking the registration system offline. 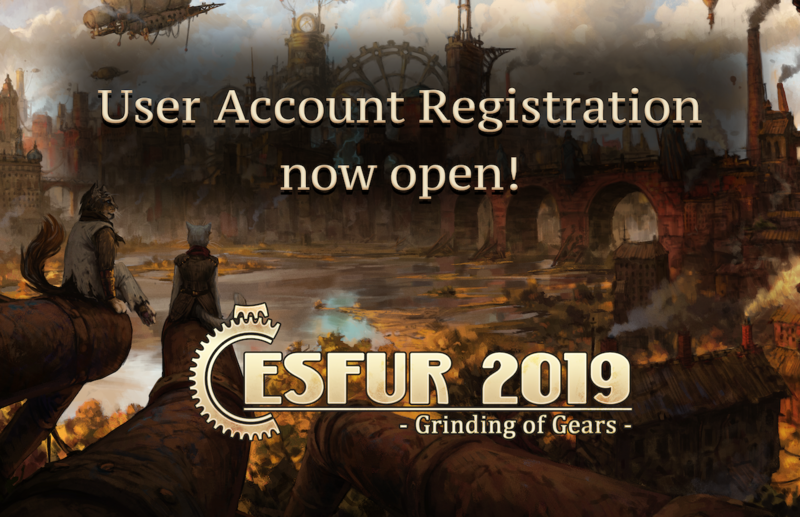 The registration for this year's ČeSFuR is now officially open! 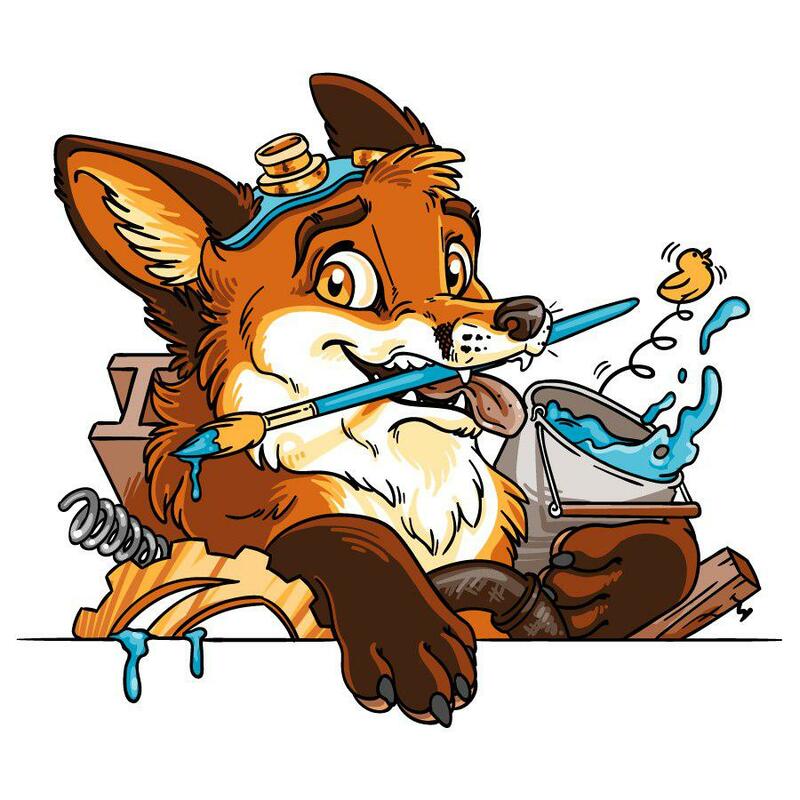 You can now create your website account which you'll later use to sign up for ČeSFuR 2019 when the con registration opens. Please note that you'll need to have a valid website user account to successfully complete the con registration once it opens. You'll be able to keep this account once the convention has ended and use it again next year. More info about the registration is available on our website in the Registration Details section. 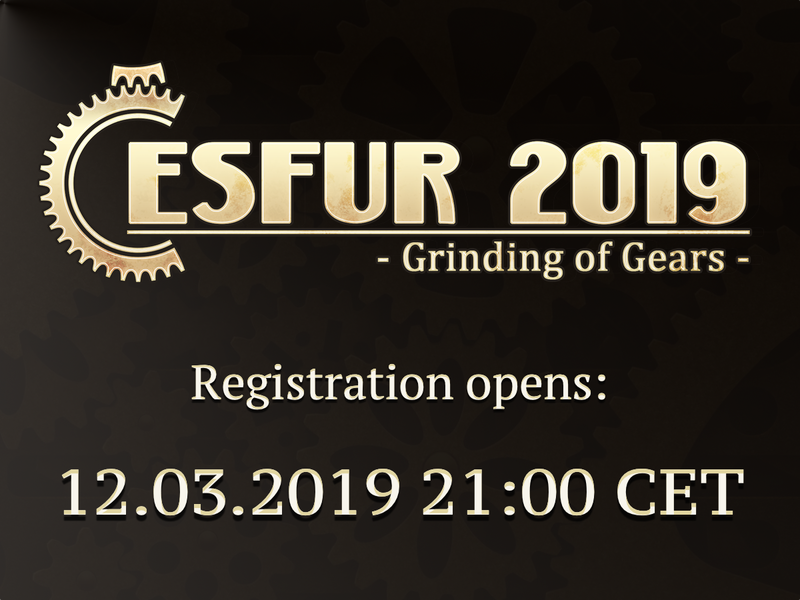 Please accept our invitation and join us to discover the mechanical marvels of our amazing city Furapolis in this year's ČeSFuR adventure - Grinding of Gears! The registration opens 12.3.2019 21:00 CET! © ČESFUR z.s., design by Dragarta, background illustration by Ondrej Hrdina; hosted by Black Wolf; code by scheriff, Tharok, Felis; content by ČESFUR, z.s. Website use a modified framework by Black Wolf. Website use a library fancyBox by fancyApps licensed under CC BY-NC 3. Website use a library Responsive Filemanager licensed under CC BY-NC 3.